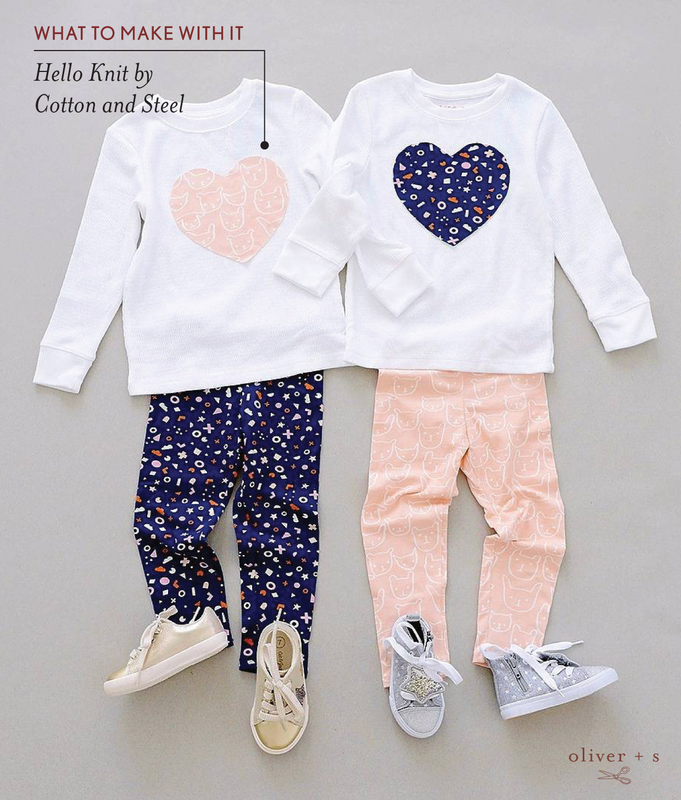 Hello is Cotton + Steel’s first collaborative knit collection, a group of kids-centric designs. 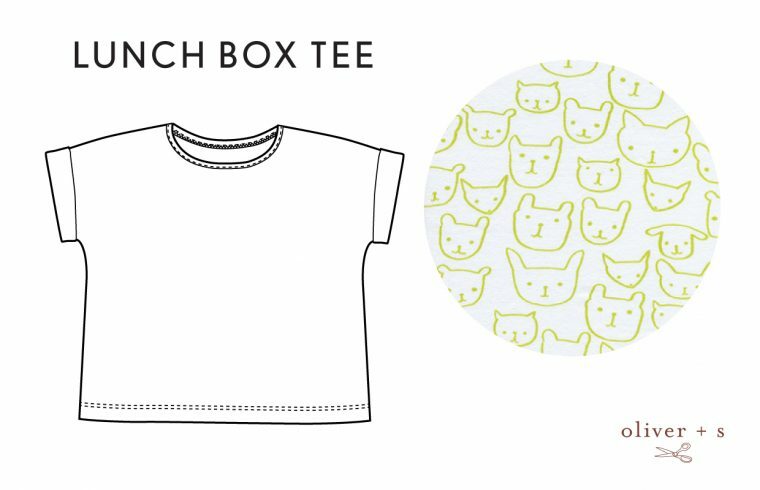 It’s all printed on their newest substrate, a soft and stretchy 95/5 cotton/spandex jersey perfect for sewing a variety of apparel and baby items. There are many different prints. The fabric collection was designed with kids’ clothes in mind, so the fabrics work perfectly with Oliver + S knit sewing patterns. They are such fun fabrics for you all to get excited about. 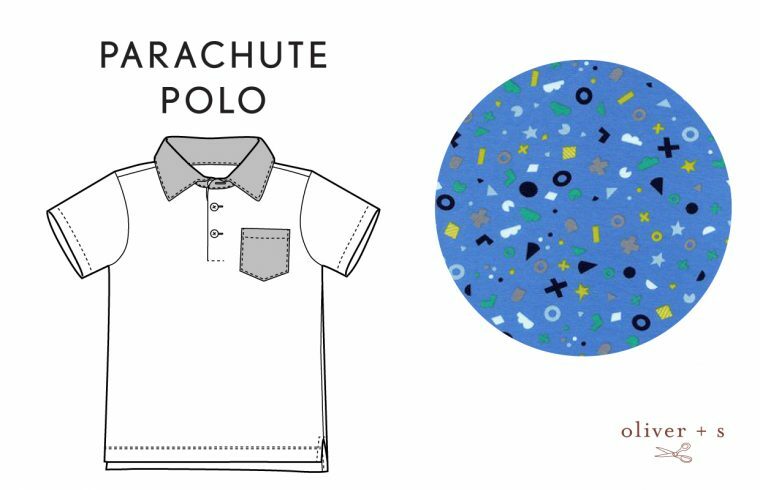 Here are some examples brimming with inspiration for your next sewing project. First up, how cute are these knit pajamas? 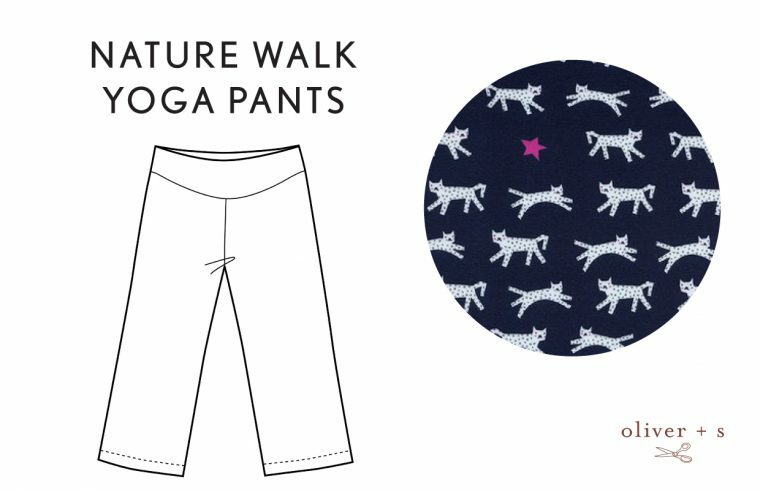 These Playtime Leggings were sewn using Flotsam and Jetsam Navy as well as Hello Peach. Be sure to check out our tutorial called How to Add Cuffs to Knit Patterns to Make Pajamas. I’ve put together some examples of other possibilities to get your creative juices flowing. 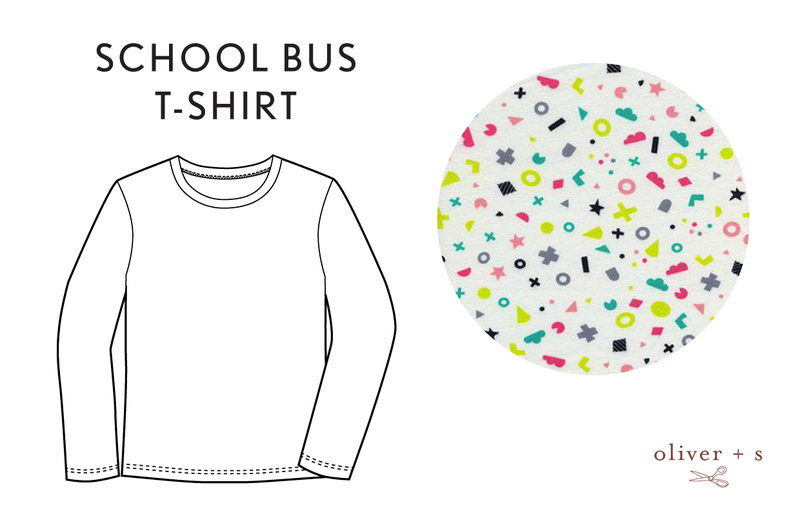 1) For a cute top try a School Bus T-shirt in Flotsam and Jetsam Cream. 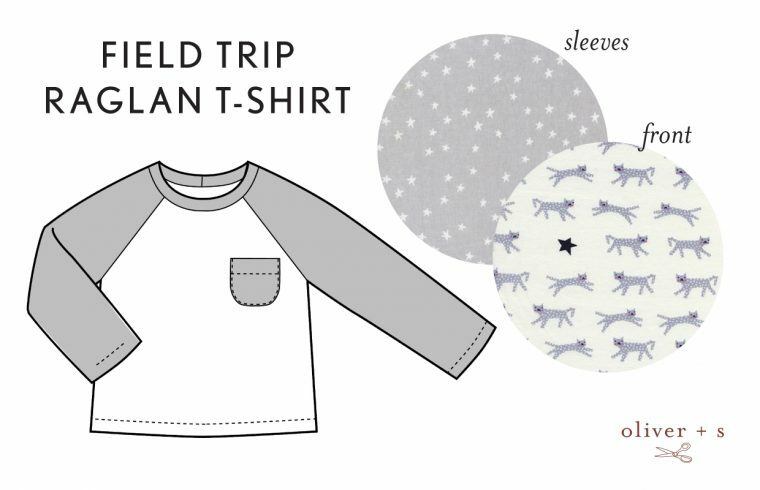 2) A fun t-shirt would be a Field Trip Raglan T-shirt with the front in Snow Leopard Neutral and the sleeves in Starry Grey. 3) Part of a comfortable outfit would be the Nature Walk Yoga Pants using Snow Leopard Navy. 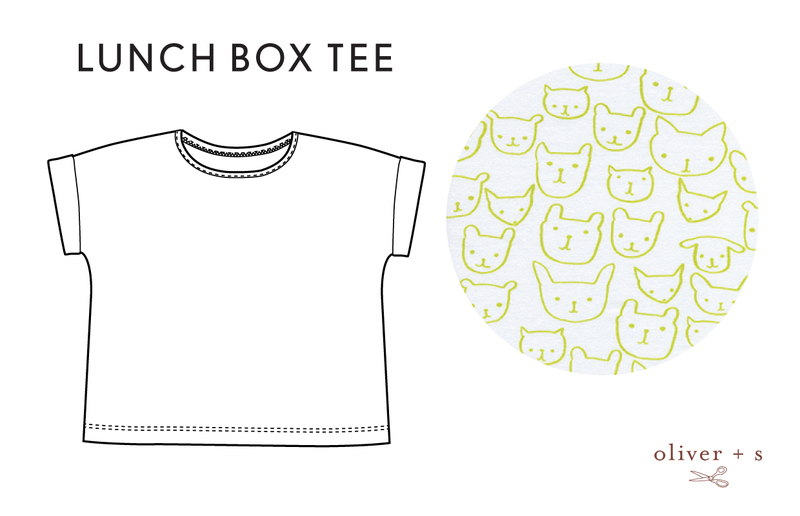 4) I think a Lunch Box Tee would be cute in Hello Citron. 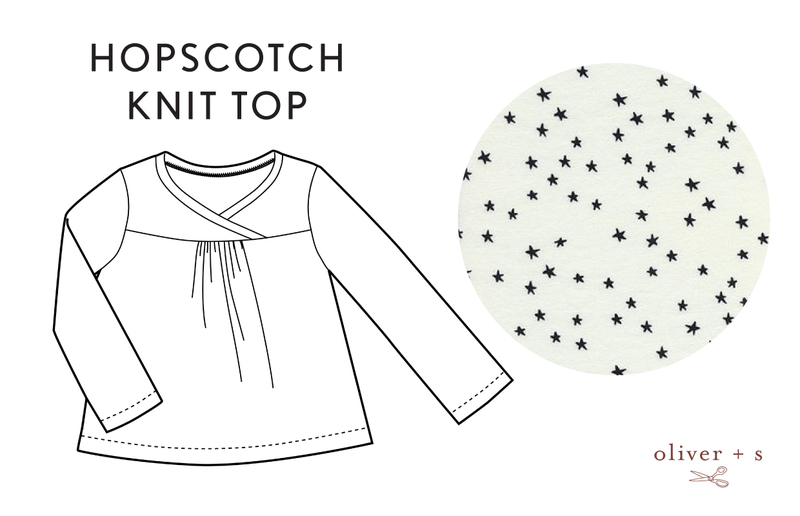 5) Grab the Hopscotch Knit Top pattern and make it in Starry Black. 6) For the boys, try a Parachute Polo in Flotsam and Jetsam Royal Blue. 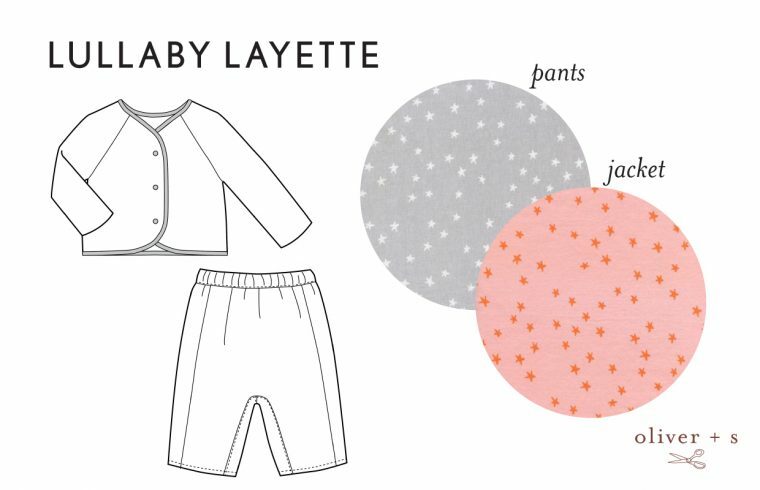 7) For a darling baby ensemble, take the Lullaby Layette. How about the pants in Starry Grey and the jacket in Starry Seashell? These are some seriously cute fabrics! Thanks, Rachel!